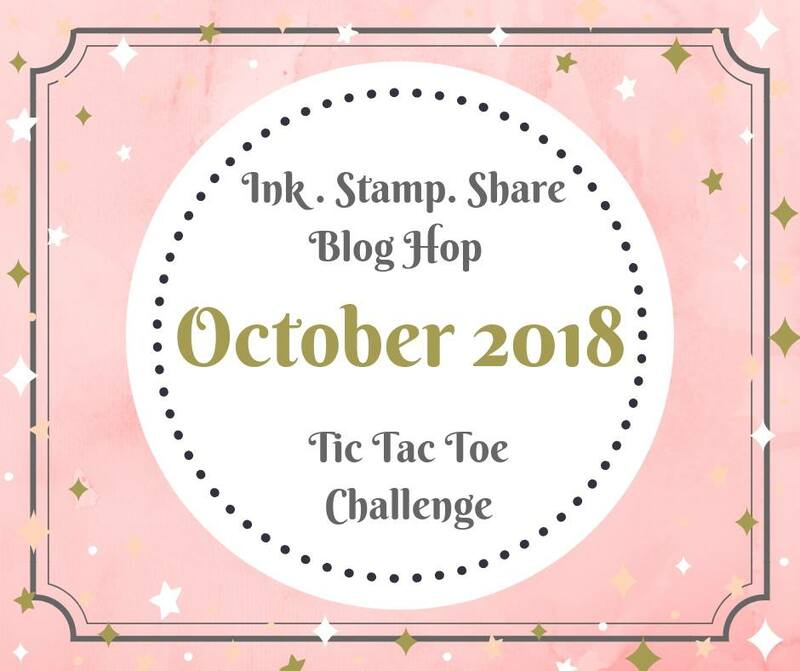 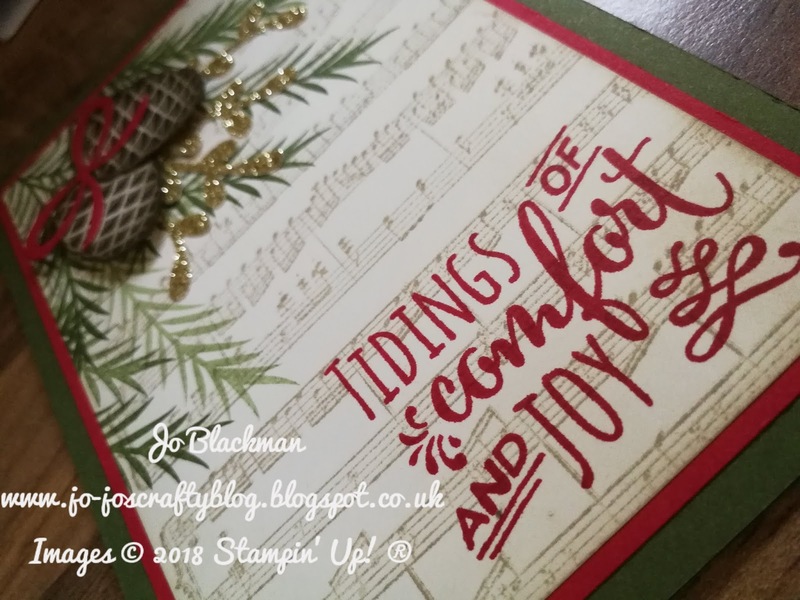 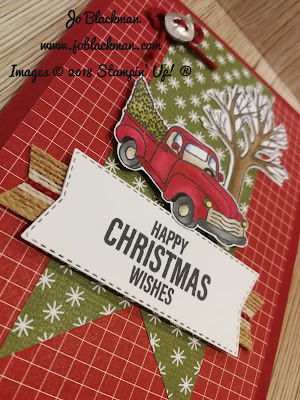 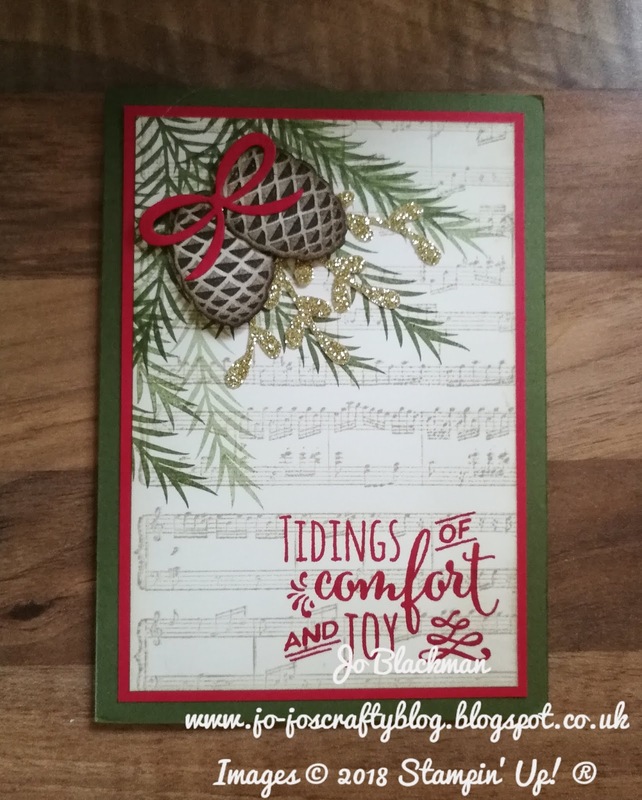 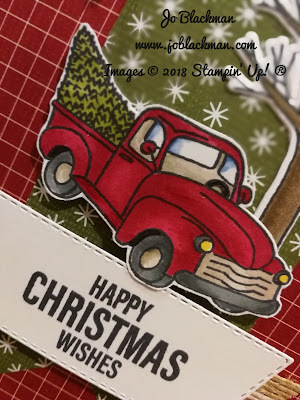 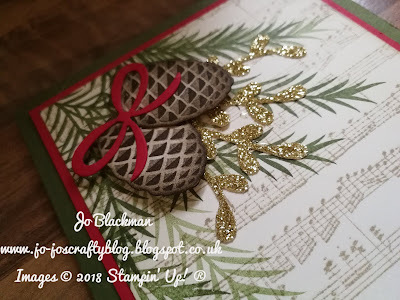 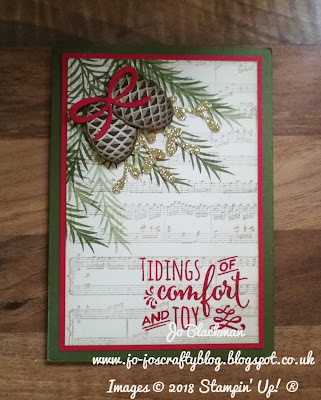 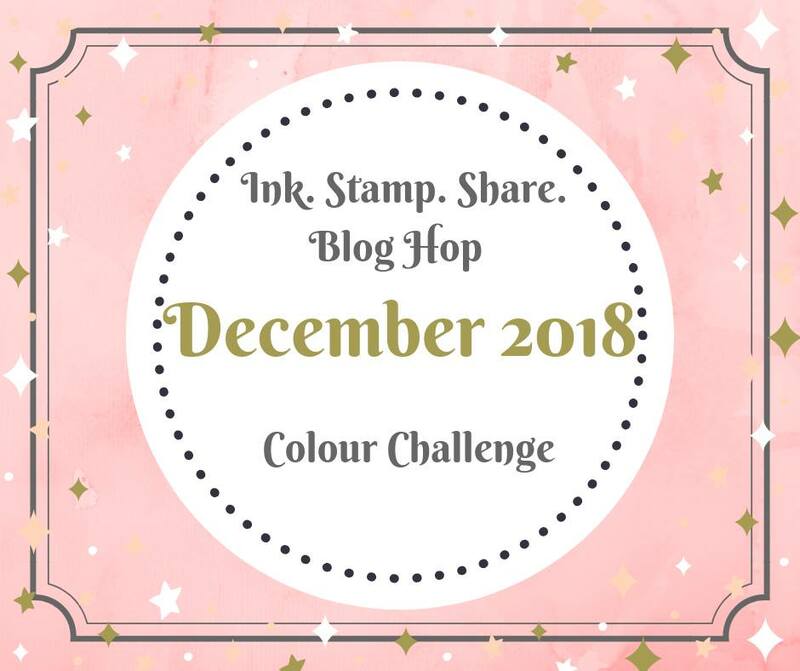 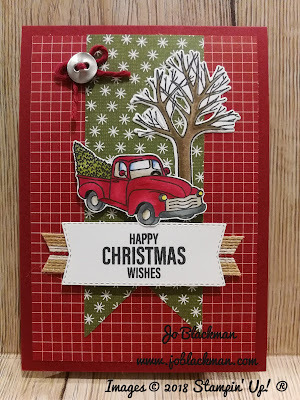 Good afternoon and welcome to the last Ink.Stamp.Share blog hop for 2018!! 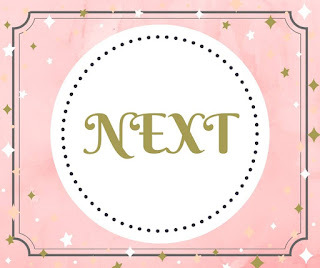 I am sorry I have been absent from my blog for a little while. 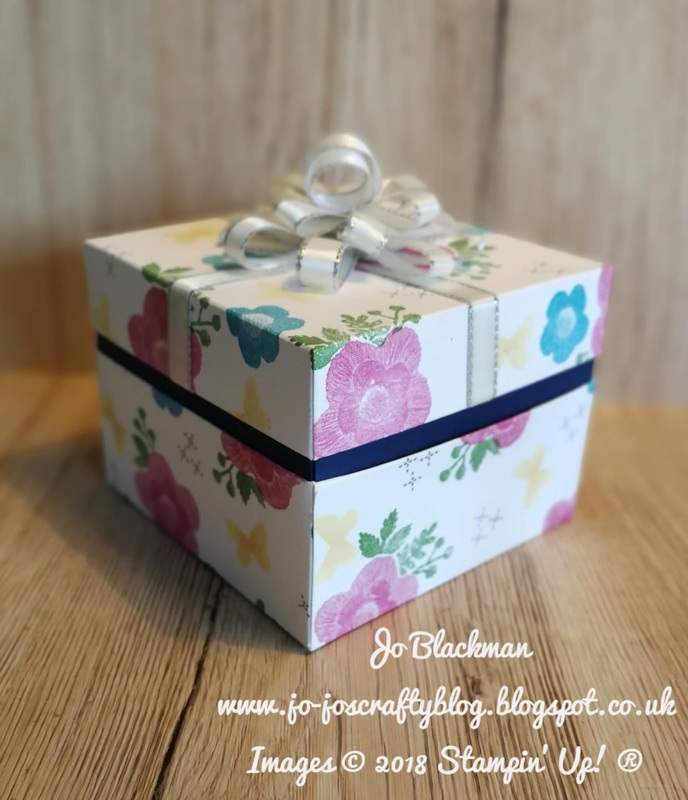 Sadly my dear old mum passed away at the beginning of November and I must confess my crafting mojo disappeared for a while. 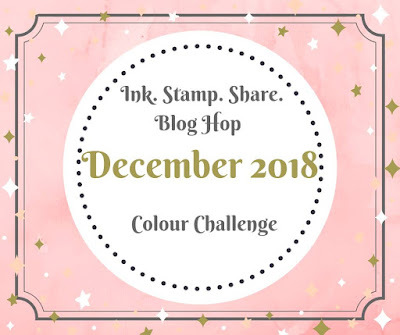 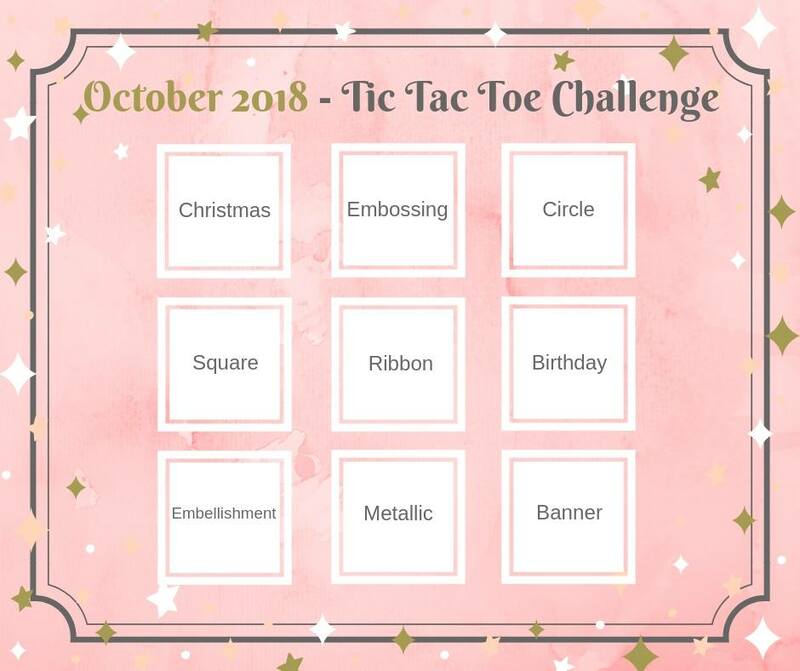 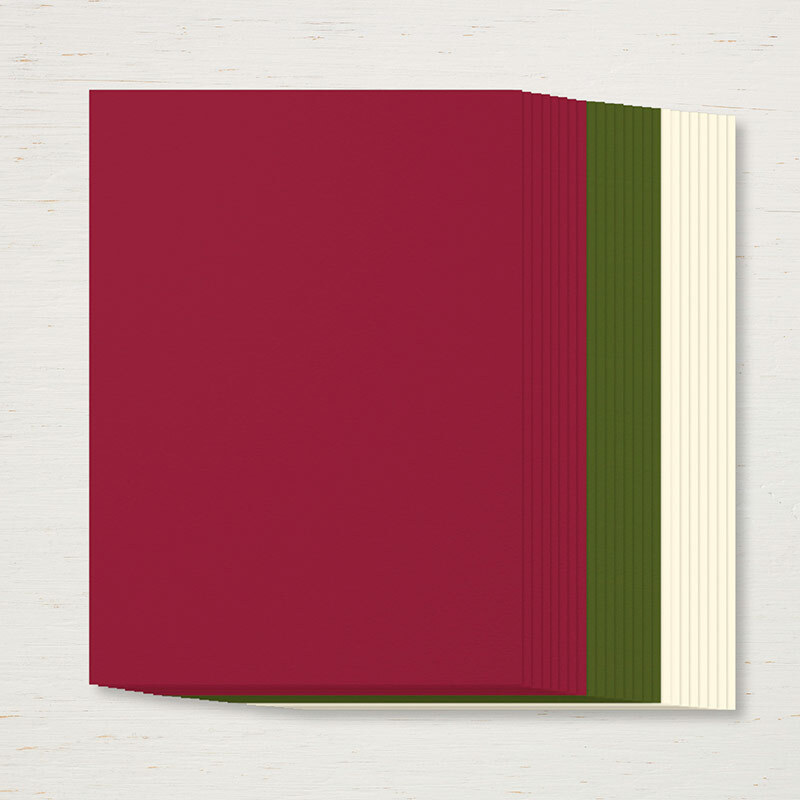 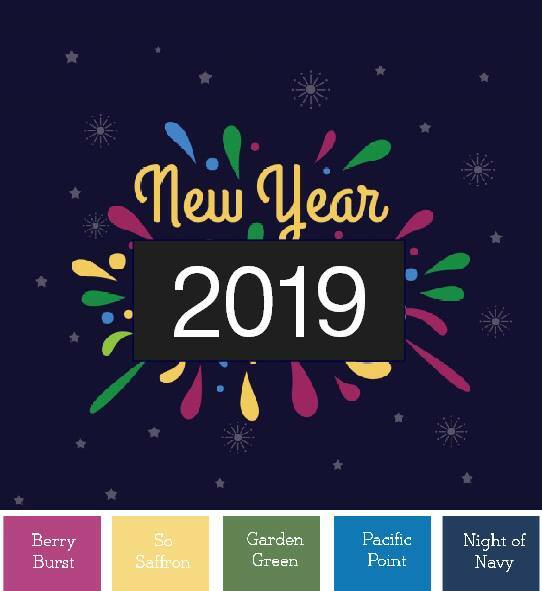 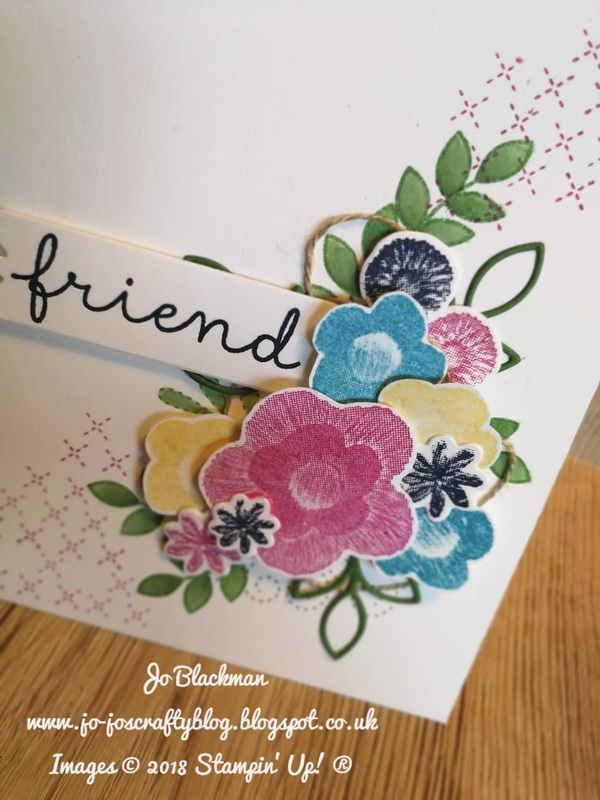 This month we set a colour challenge where we had to create a card/project using as many or as few colours from Berry Burst, So Saffron, Garden Green, Pacific Point and Night of Navy. Of course I decided to use them all!! 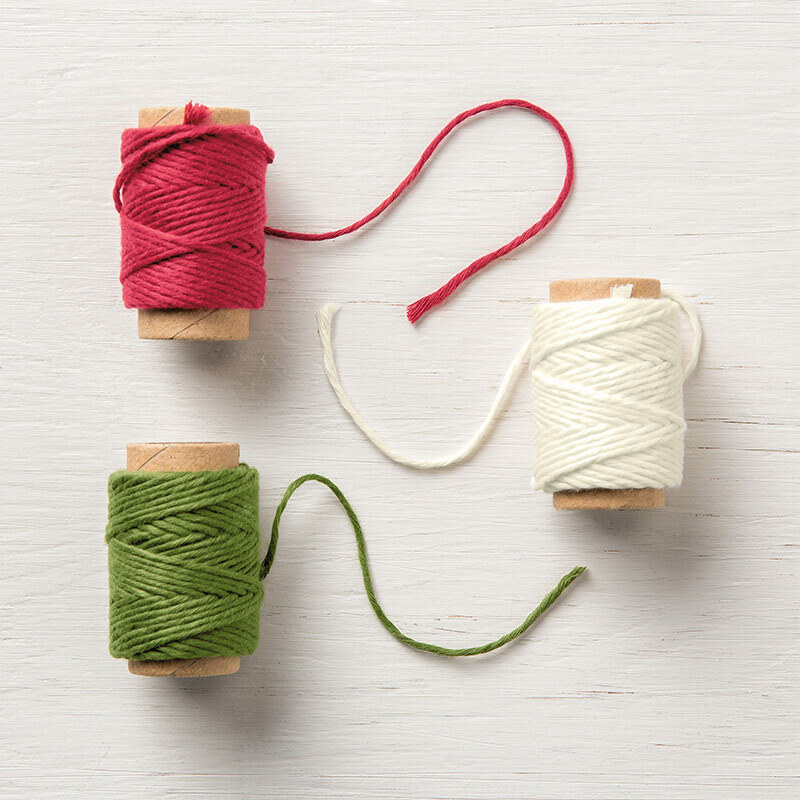 I wanted to share a sneak peak with you from the upcoming Spring/Summer Catalogue which goes live on the 3 January. As demonstrators we have an opportunity to get our hands on the new goodies a while in advance so we can get projects made to inspire you! 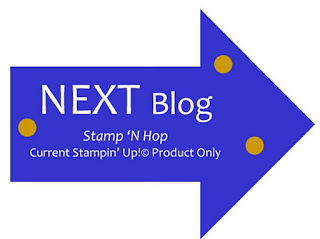 So the stamp set I have used is the brand new Needles and Threads from the Needlepoint Nook Suite. This is a stunning stamp set and the DSP is divine although for this project I have created my own DSP. I also wanted to create a little gift box to accompany the card so I created this little beauty by randomly stamping and colouring some of the beautiful imagery from the stamps. 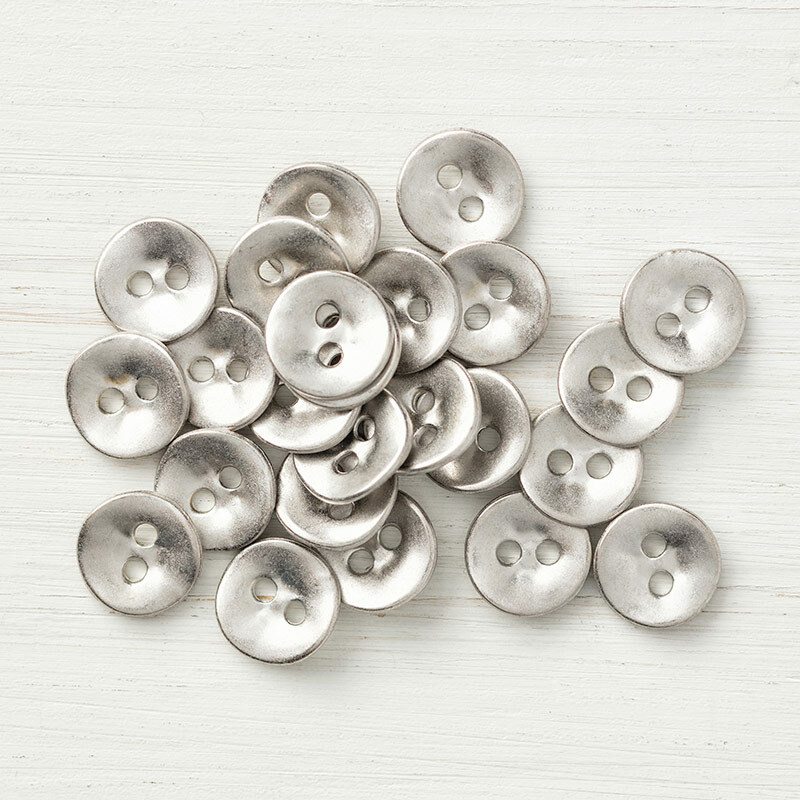 They really do most of the work for you. 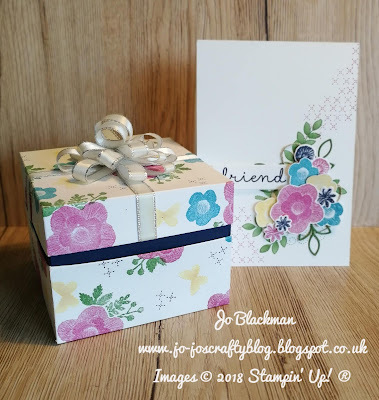 This is a simple box which was one of the first projects I ever made on my Stampin' Up! journey. 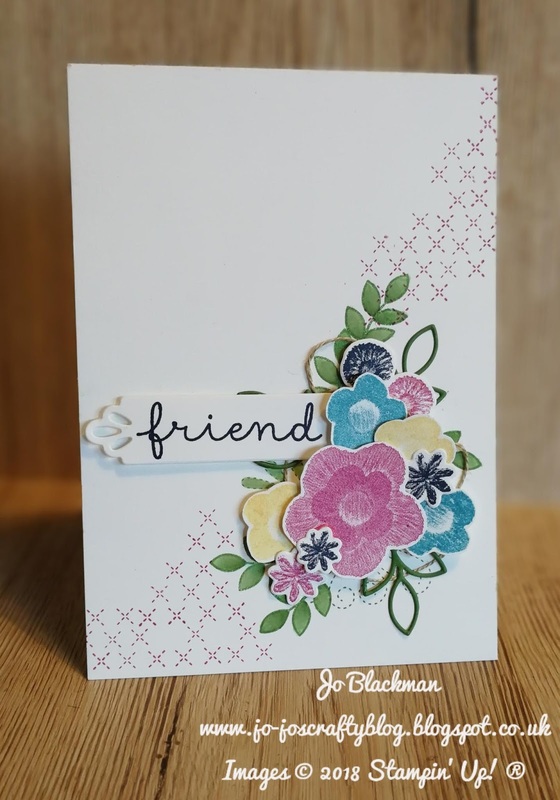 I hope you have enjoyed my projects today and I will now pass you on to Laura who I am sure has something amazing to share with you today. 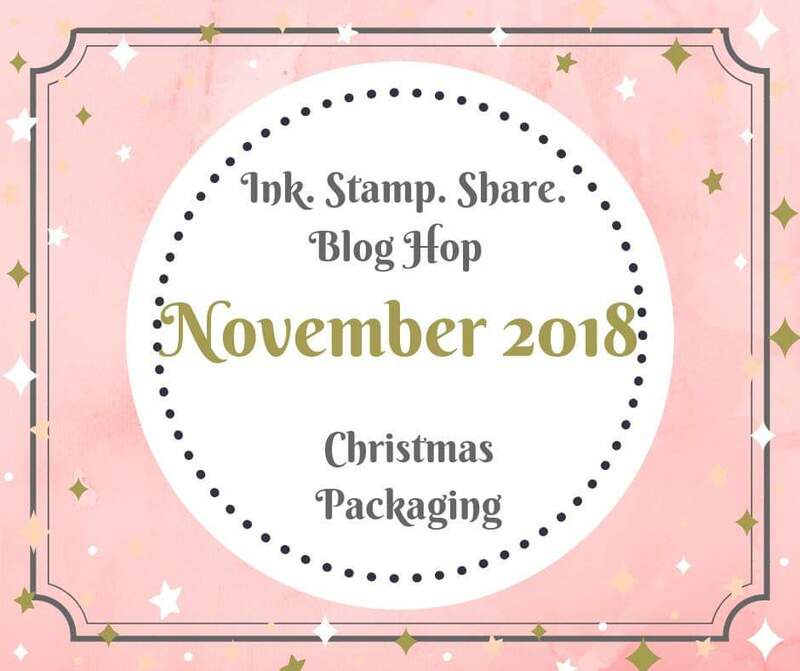 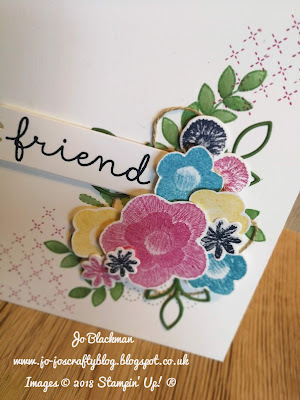 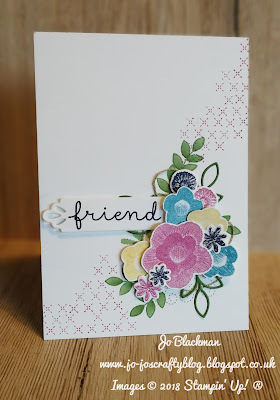 Good afternoon, thank you for joining me today for the Ink.Stamp.Share Monthly Blog Hop. 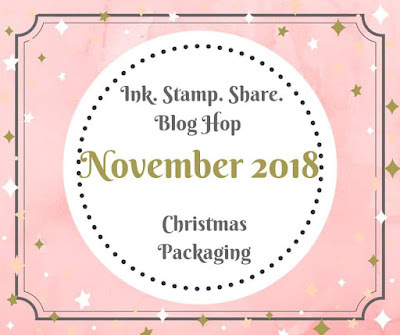 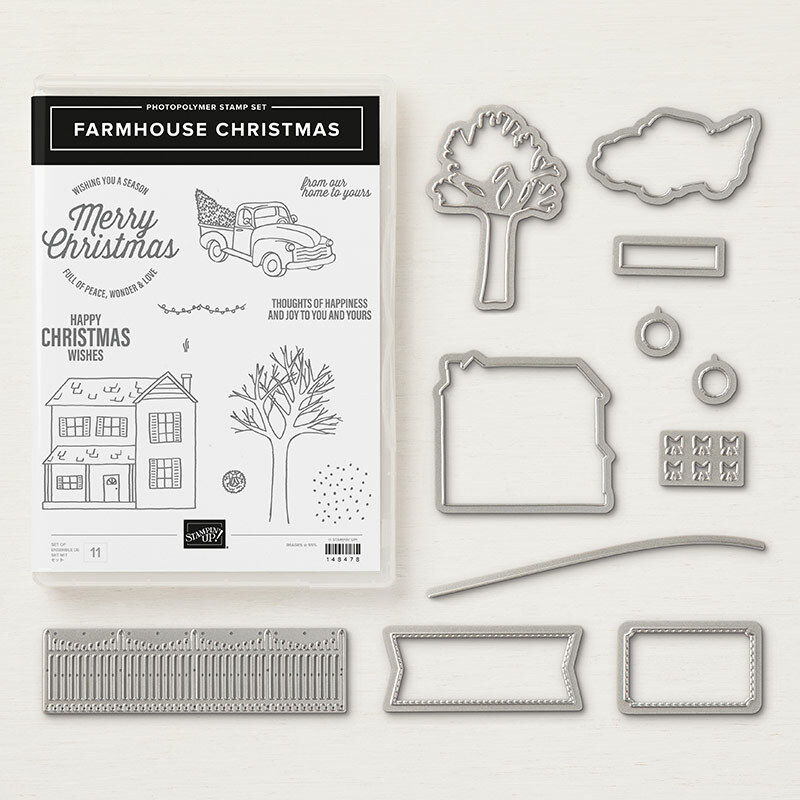 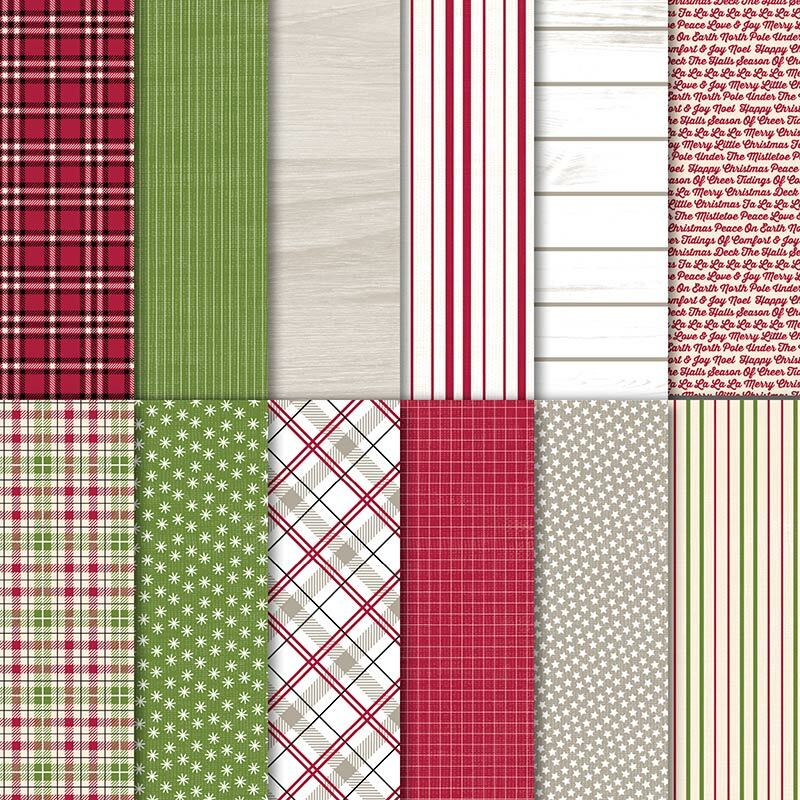 This month we are concentrating on Christmas Packaging. 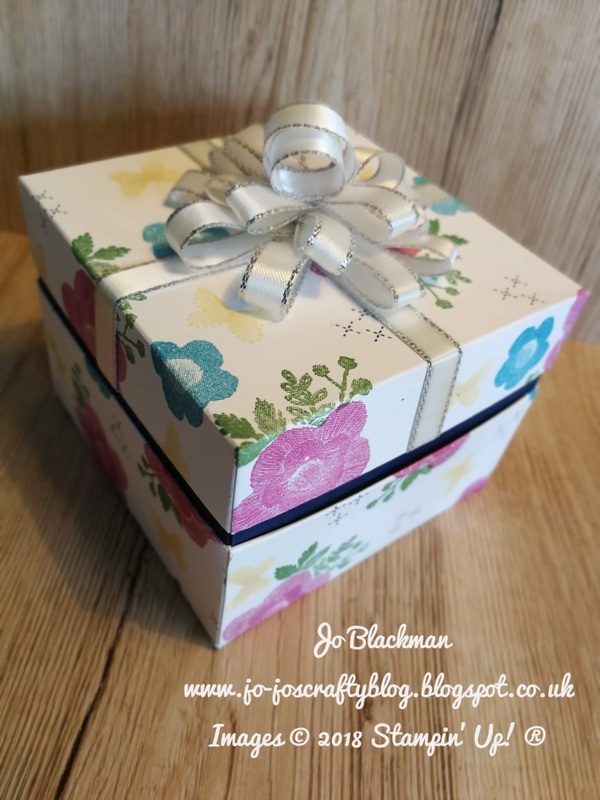 There is nothing I love more than packaging ideas, I am a 3d freak so love every opportunity to make packaging for any gift I buy! 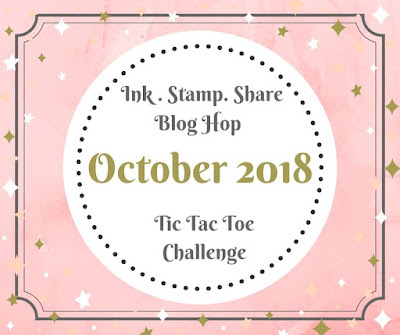 I have a few ideas to share with you today. 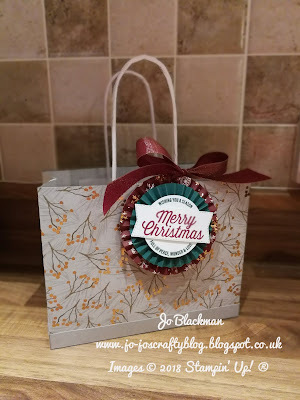 Sometimes a gift bag is what you need and I always have a few plain white bags to hand, just in case, but this time I have dressed them up a bit. I stamped the bottom of my bag with the delightful Dashing Deer then made a lid for the bag which really dresses it up. 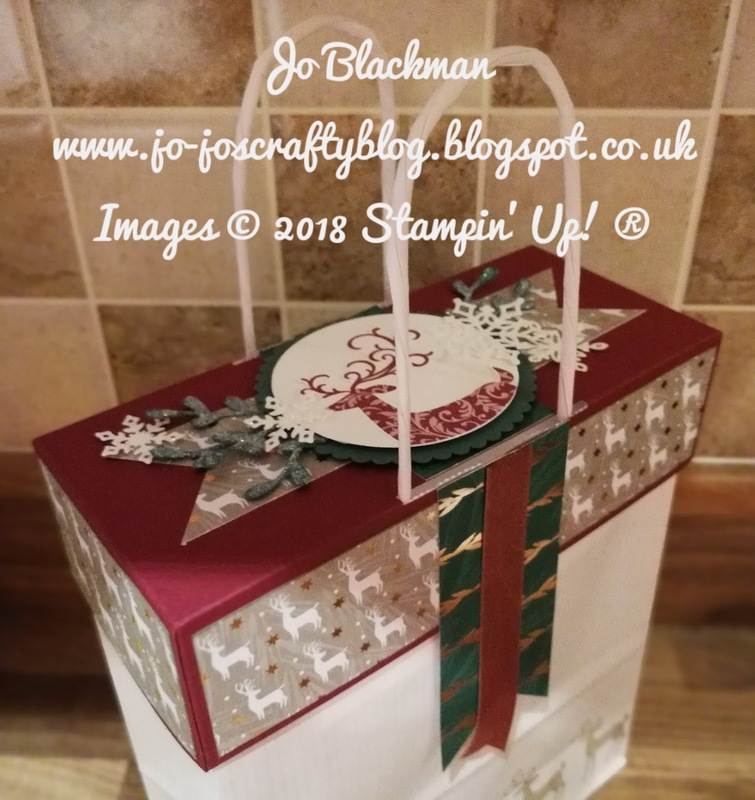 I then decided to downside my bag a little but dress it up with the beautiful Joyous Noel DSP, adding a box base and rosette gift tag. 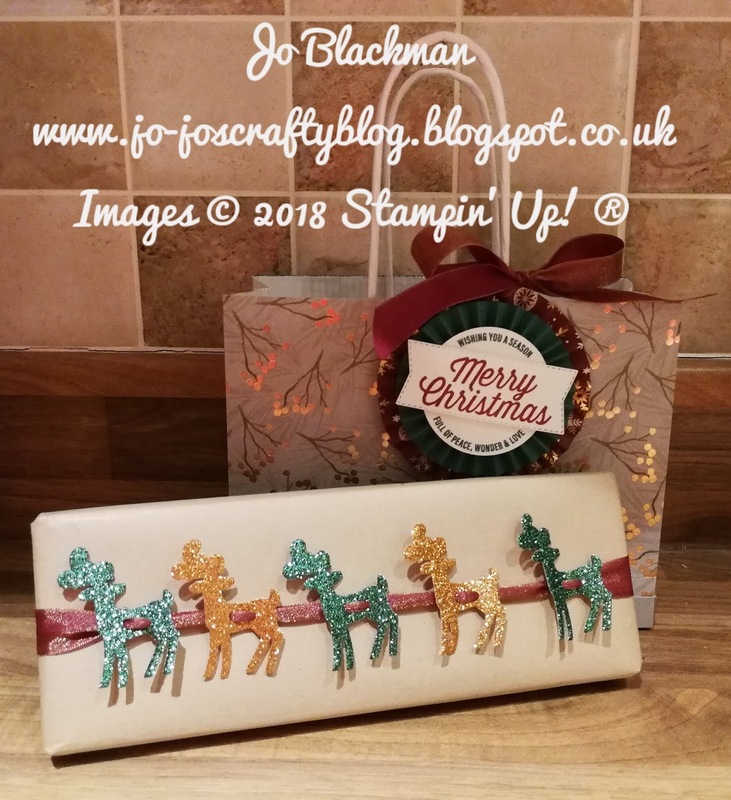 Packaging doesn't always to have to be time consuming and difficult, here I have simply wrapped my gift in brown packaging paper and added some glitter reindeer on some ribbon. 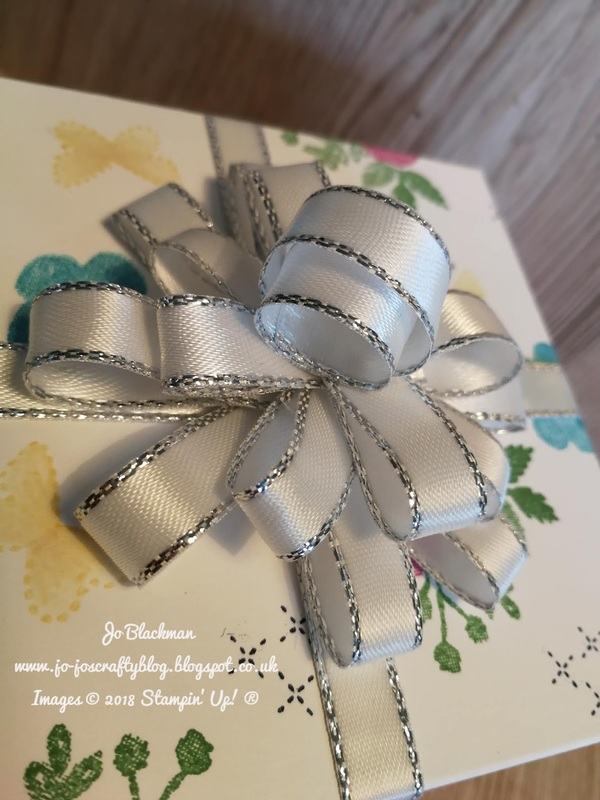 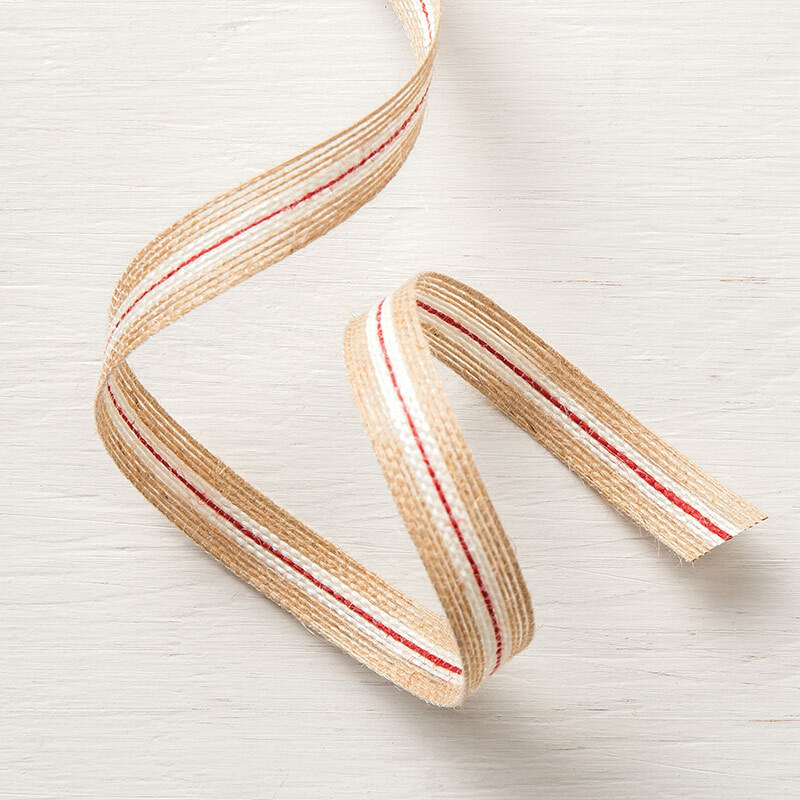 It takes a simple wrapping up a knotch. 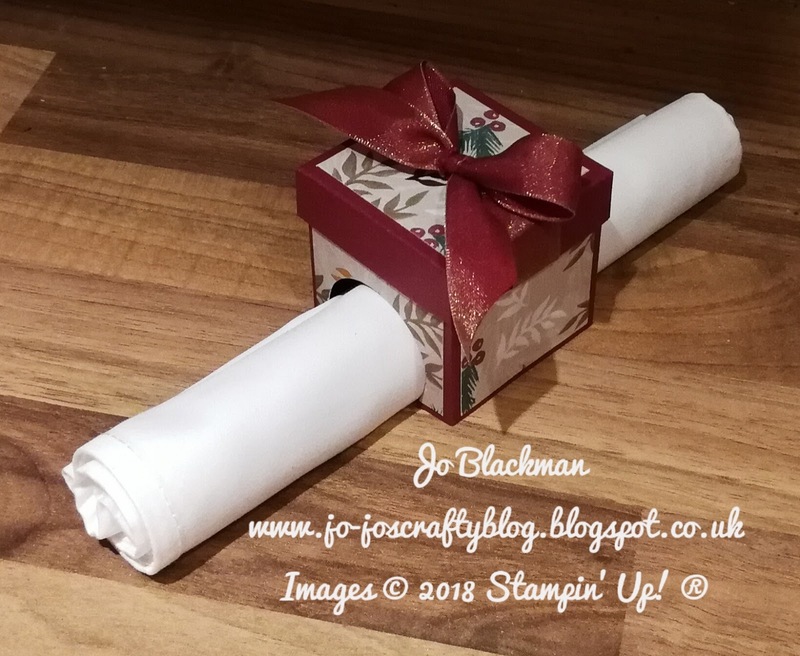 Finally, one last little project, whilst not exactly packaging as such makes a lovely little alternative napkin ring for the Christmas table. I hope you liked my projects and I will now pass you on to Tricia Butts who I am sure has a fantastic project for you today.